All you need to get gaming is an internet connection. You're sat waiting for the football to start, or you're bored in the office at lunchtime, or you need a break from filling out the family finances... whatever the reason you're at a loose end, these games run right away in your browser, no downloads or installation required. Thanks to some swift advances in web technology over the last few years, online games can actually be rather advanced in their gameplay and graphics, and we'll cover the full gamut here - from puzzlers to arcade games, sports titles to adventure games, and more. It's been around for a while, but it's lost none of its charm - or should that be fiendish frustration? The aim of the game is to pilot your rider along a 2D track, and you can either have a go at tracks made by other people or draw your own. Simple yet addictive fun. A Dark Room eschews graphics and user-friendliness in exchange for a straightforward text-based adventure. Despite that, it still has atmosphere and interest in spades: you start off in a cold, empty room in the middle of nowhere and the mystery expands from there. A rather well-done variation on the 2D strategy game - there are tons of them about - in which you are tasked with building up a castle and an empire virtually from scratch. The gameplay is engaging, the visuals are sharp, and you get plenty of help along the way. This one has been around for years but it remains a fantastic example of how to do a browser-based game right - simple controls, addictive gameplay, and just enough variety and challenge to keep you coming back for more. Prepare to lose a few lunchtimes to this. It's a testament to the quality of Prince Of Persia that some 27 years after it launched, it's still very playable, and the graphics aren't too shabby either - so imagine how impressive it was back in 1990. Run, jump, and fight your way through to save the Sultan's daughter. Yes, the addictive mobile game is also available to play in your browser, so once you've had enough of adding together numbered tiles on your smartphone you can jump on your computer and carry on the fun. If you've never played before, a brief tutorial is included. From the first moment you fire up Polycraft, you can tell this online game is a cut above the norm, with its stylish graphics and absorbing gameplay. Click around the virtual island, blasting away enemies, solving puzzles, and extending the reach of your humble home. One of the earlier online games and still one of the best, because it's so simple and so difficult all at the same time. The Space bar is your jump key, and you run through an endless number of scenes at an increasingly frenetic pace to get away from... something. 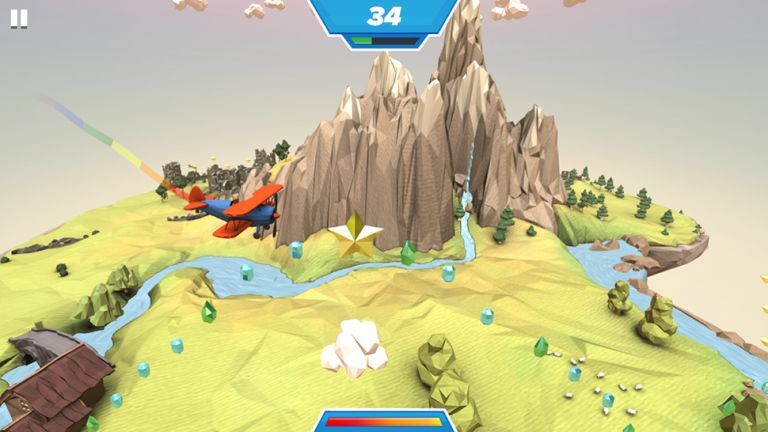 We've become a little bit obsessed with Swooop, where you pilot your little 3D plane around a revolving world with the Space bar, collecting crystals and power ups and trying to avoid the clouds, which are much more dangerous in this game than they are in real life. Just want you want from an online game: easy to pick up, difficult to master, and lots of variety along the way. The idea is to blast your spaceship around the track in the fastest time possible, without smashing your craft up too badly on the various twists and turns. A classic on whatever platform you want to play it on, Cut The Rope works perfectly in your browser, with the simple game mechanics and straightforward level progression well suited to online play. Cut the ropes, swing the candy, and make sure Om Nom gets fed. How addictive can a simple text-based game about collecting paperclips be? Very, very addictive is the answer - you start off clicking once to make each paperclip, but before too long you're managing an AI-powered empire of twisted wire and humming computers. Few online games are as delightfully frustrating as Samorost, which doesn't offer up much in the way of player help but does put together a beautifully rendered and wonderfully weird world for you to puzzle your way around in. Don't be tempted to give up too easily.